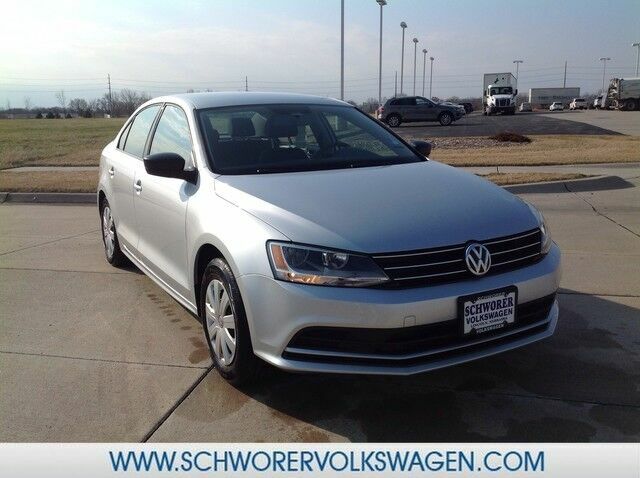 This outstanding example of a 2015 Volkswagen Jetta Sedan 2.0L S w/Technology is offered by Schworer Volkswagen. Exceptional in every sense of the word, this incredibly low mileage vehicle is one of a kind. There is no reason why you shouldn't buy this Volkswagen Jetta Sedan 2.0L S w/Technology. It is incomparable for the price and quality. The quintessential Volkswagen -- This Volkswagen Jetta Sedan 2.0L S w/Technology speaks volumes about its owner, about uncompromising individuality, a passion for driving and standards far above the ordinary.